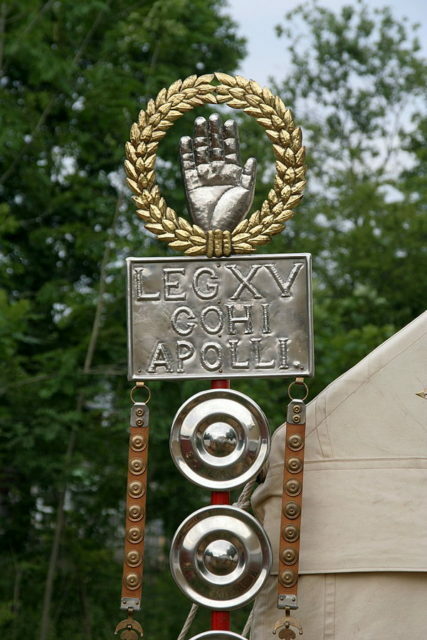 The Roman Republic was a magnificent entity. It had its problems, as all governments do, but the men served it proudly and it took many decades before power was continually seized by the likes of Sulla and Caesar. The Republic’s heyday was during and just after the second Punic War, taking advantage of the experiences gained to conquer more of the Mediterranean. This great success was largely due to an earlier set of epic wars, much closer to home for the Romans. 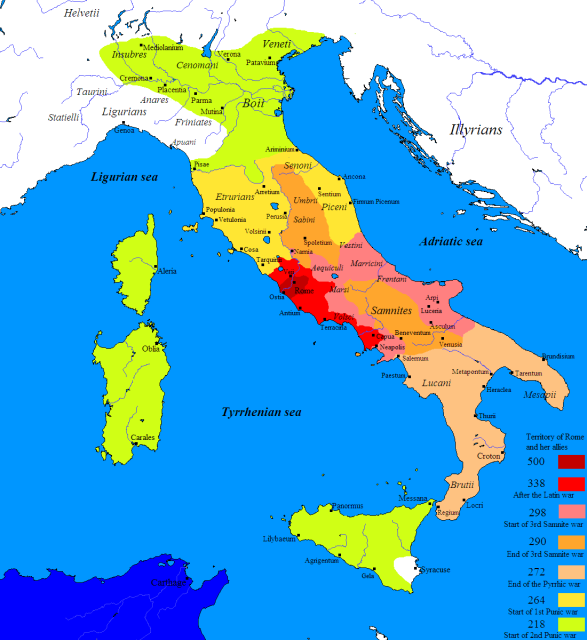 These were the Samnite Wars of 343-290 BCE. Rome’s position before the Samnite Wars is almost laughable. They had fairly recently conquered their great rival city of Veii, less than ten miles away. They had expanded after that, taking down the Latin League and extending south down the coast. Here the Romans first ran into the Samnites. The Samnites were native to the mountains and hills of south-central Italy and prided themselves on being fierce warriors. The rough hill people were able to bully neighboring tribes, and they grew their influence in the area. A victim of the Samnite’s bullying, the Campanians, centered on the city of Capua, appealed to Rome for help. Rome intervened on behalf of the Campanians and the wars began. All roads lead to Rome, right? Well, Roman roads had to start somewhere, and that happened to be right in the middle of the Samnite wars. The Appian Way was the first true road built out from the city, with the exception of some older Etruscan roads going north. It wasn’t just a flat packed dirt road, nor was it simply paved, the Romans started with the highest of standards from the very beginning. Starting with packed earth, layers of fine and coarse crushed rock were added with a slight ridge in the middle. Slabs of rock were fit like a jigsaw puzzle forming a smooth surface with drainage down to ditches if needed. 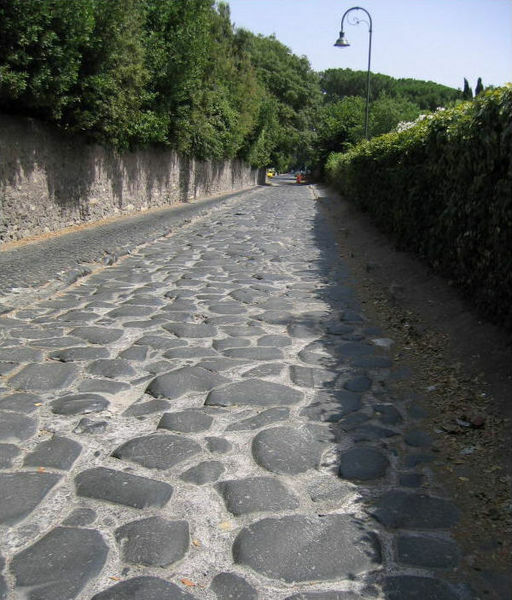 Roman roads were smooth and dry, great for rapidly transporting armies, especially those utilizing pack animals and wagons, which would be most armies by this point in time. 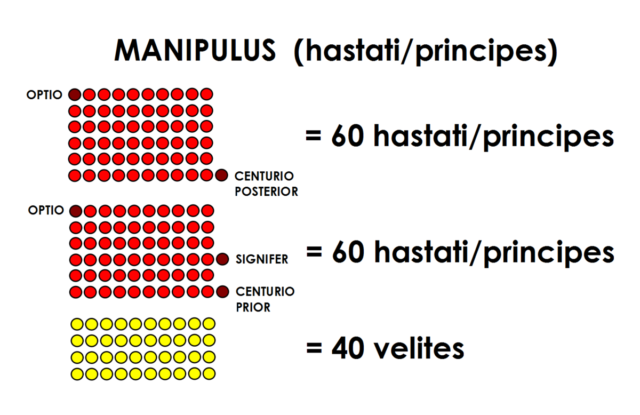 The growth of Roman territory, note the small size at the start of the Samnite Wars. 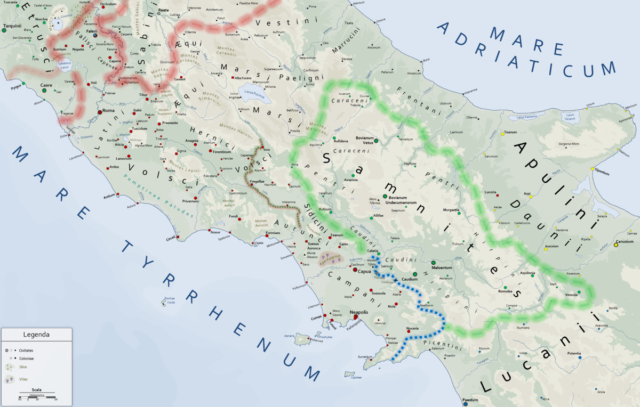 Roman roads were especially important during the Samnite War as the only other routes south to their allies went dangerously close to a malarial swamp. In addition to the roads, the first aqueduct was built during the same time. Appius Claudius actually spearheaded both projects (hence Appian way and Aqua Appia) and was a great example of the Roman educated elite doing their best to serve Rome. The Roman population was quickly outgrowing their access to fresh water, and the construction of the aqueduct was a monumental feat of engineering requiring both arches and tunnels to reach Rome. The aqueduct allowed Rome to thrive even through a long period of warring and the solution to the water troubles was so effective that Rome had several aqueducts by Augustus’ day, and he even built one to make a lake for mock naval battles. The Romans and the Samnites had roughly equal power at the start of the wars, with Rome perhaps having a larger population and Samnium having a slight edge in military power. Soon the Romans began facing enemies everywhere, however, and faced a long uphill battle. 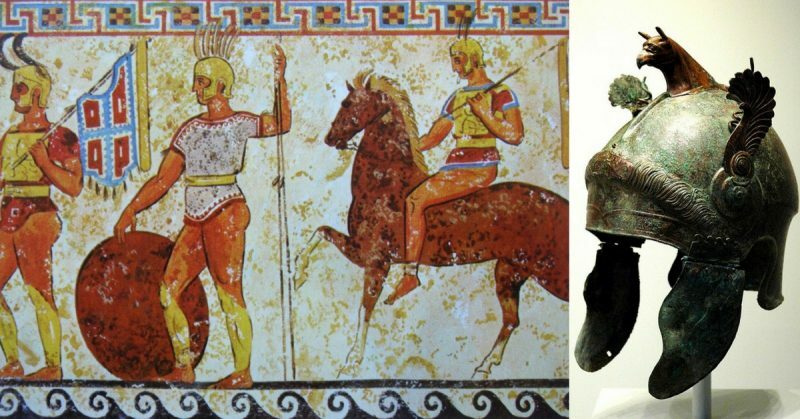 The Samnites were joined by the Etruscans, the former rulers of Rome, but still powerful. The Romans were situated right between the Samnites and Etruscans, forcing a two-front war. The Latin League also rebelled early on, causing problems at the doorstep of Roman homeland. At some points, the Romans even had to face Gauls, their most hated and feared enemy since Rome’s first capture. Part of Rome’s solution to facing enemies in every direction was the formation of Roman colonies. These full Latin rights colonies spread the true and trusted Roman influence. This was initially done to create a Roman presence on the southern side of the swamp between Latium and Campania so Rome could have a presence without having to constantly cross swampland. Facing such odds, and in different directions gave the Romans an early understanding of strategic positioning. Having to march through hostile territory instilled the importance of marching camps and knowing how far from the enemy or allied armies a force was. The humiliating defeat at the Caudine Forks, where the Romans were simply trapped and forced to surrender, instilled a sense of situational awareness in the Romans. We can see this later in such engagements as the Battle of Telamon; with the exception of Hannibal, the Romans were not often fooled in wartime. Livy is the most complete source for the Samnite Wars, writing centuries after the events. We just don’t know much about the individual battles, but it does seem that the Romans developed their distinctive fighting style over the course of the Samnite Wars. The Romans had initially fought in loose warbands, with heroic fighters standing out. 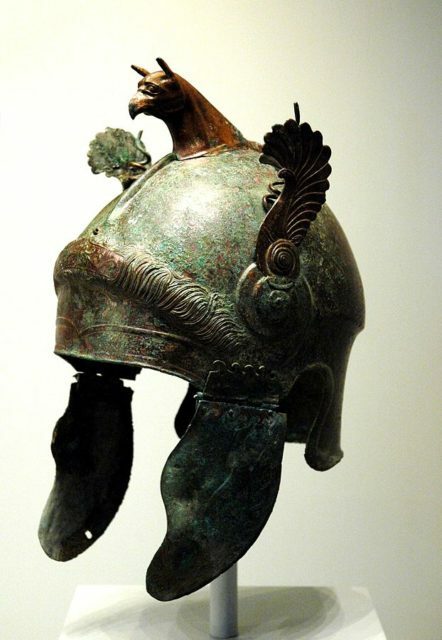 they soon adopted the Greek phalanx style as it was simply more effective in larger battles. The phalanx was a solid style of combat but had a few problems in rough terrain. This was painfully evident when the Romans fought in Samnite territory and found their lines would crack and break as they attacked on hilly terrain. The actual change of style is difficult to follow, but the Romans emerged from the Samnite Wars wielding a different sort of army. Forming three lines, with the youngest in the front and veterans in the rear. The manipular formation formed a checkerboard pattern when viewed from above, with large gaps within the three lines. This variable formation allowed Roman armies to adapt to any terrain and any type of attack, as long as they had the right officers and generals leading them. More fighting led to better leadership, which allowed the formation to work like a well-oiled machine. This new army faced a powerful foe in Pyrrhus of Epirus, a man hoping to be the Alexander of the West. Pyrrhus attacked the Romans with a professional army under established leadership. The Romans took two hard shots but inflicted so much damage and gained valuable experience so that the third large battle was a decisive victory, ousting the talented commander. Above all, the Samnite Wars gave the Romans a sense of grit and determination that is difficult to measure. Battles went down to the wire, and victory was far from certain. Though far from established fact, Livy records one instance where the Romans charged a Samnite position in battle several times with frustratingly little success. The Romans organized a frenzied last charge before nightfall and finally broke the Samnites. The Samnites were later said that they fled because of the eyes of the Romans, which seemed to blaze, with their frenzied glare and furious expressions. In another battle, the Romans faced a combined army of Samnites, Etruscans, Gauls, and Umbrians. The Romans’ decisive victory despite overwhelming odds in this battle actually broke the alliance of the above-mentioned states. This was a titanic struggle, just on a regional scale, and gave the Romans the tools they would need to conquer and rule the entire Mediterranean.